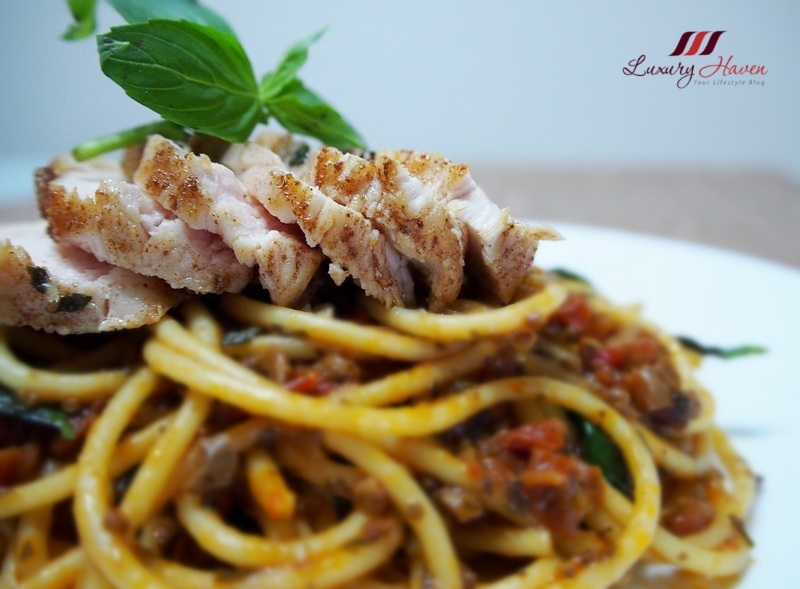 After posting an entire list of Chinese dishes due to the Lunar New Year, I am back with an Italian recipe today introducing you to the yummilious Leggo's Pesto Sun-Dried Tomato Pasta With Pan-Fried Chicken! 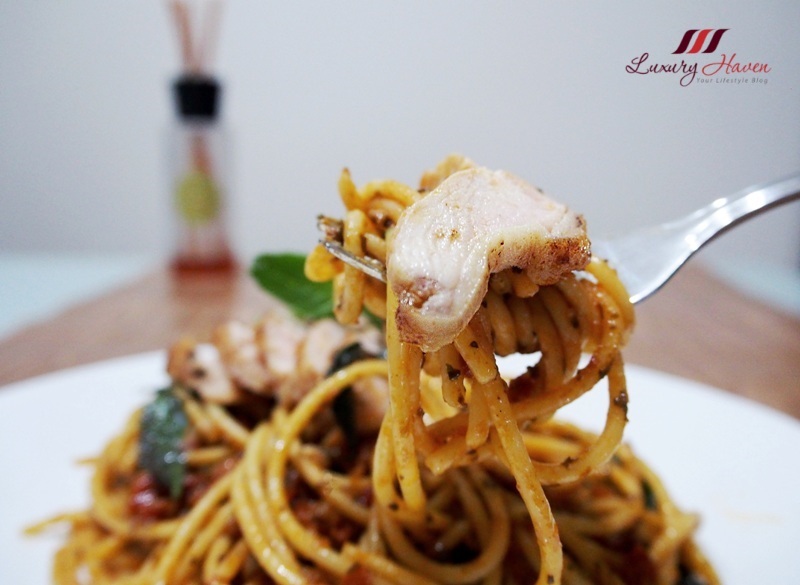 The tasty Al Dente Spaghetti rolled out in premixed sun-dried tomato sauce is full of assertive flavours, giving you a wholesome Italian experience at home. 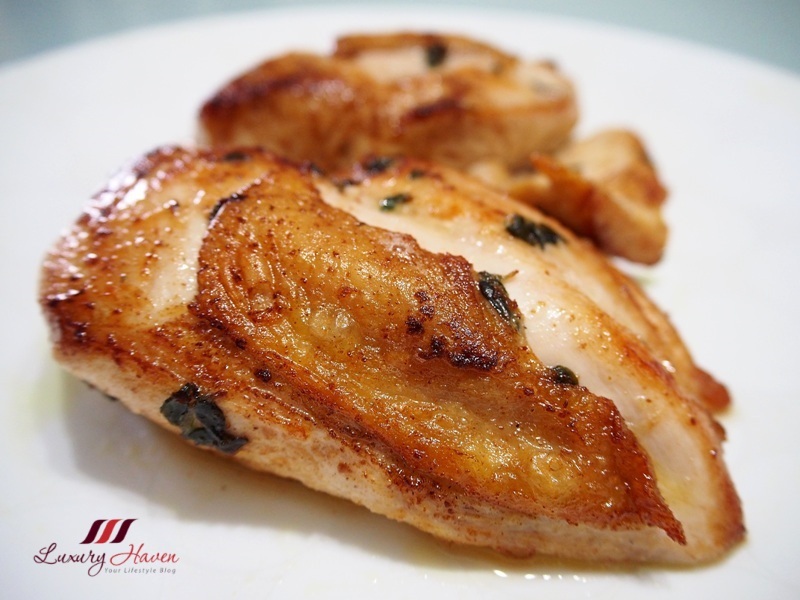 Coupled with the juicy pan-fried chicken fillet with crispy skin basked in a scented thyme leaves olive oil concoction, I can assured you will have a hearty meal with your family. I have added Basil Leaves in this recipe, which is best known as a culinary herb Italian cuisine, offering a nice sweet aroma to the pasta dish. 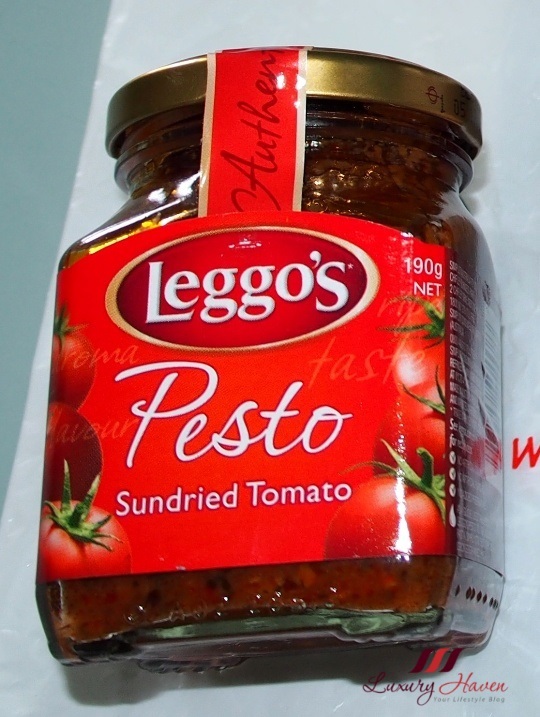 It is really easy to cook this Italian Pasta with the bottle of Leggo's Pesto Sun-Dried Tomato, definitely a flavour boost to any Italian style dishes. Rinse chicken and gently pound meat to tenderize. 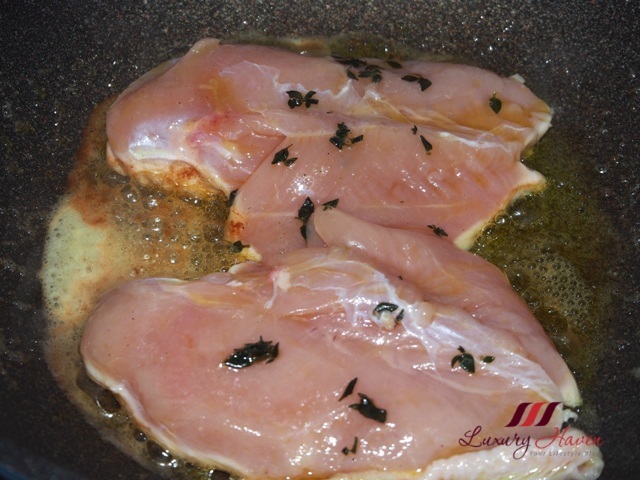 Marinate chicken with thyme leaves, olive oil, salt and pepper for about 15 minutes. 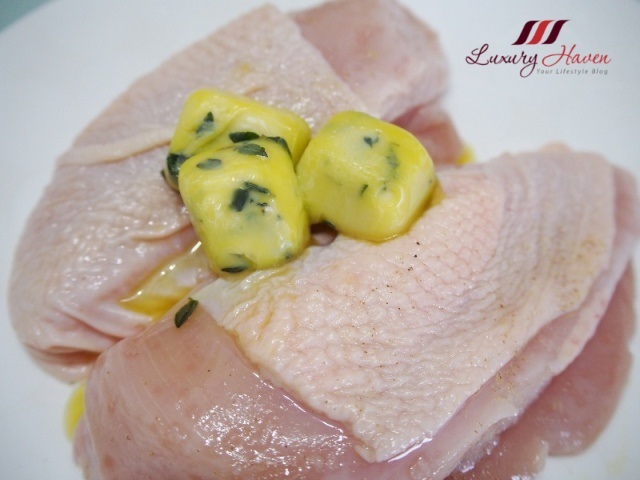 Heat butter in pan and add chicken, skin side down. Pan fry till golden brown, then turn to the other side and fry for another 2 - 3 minutes. Do not cook for too long or chicken will be tough. Remove and drain. Let it cool, then slice the juicy chicken fillet. Cook pasta accordingly to instructions on package. Drain and set aside. 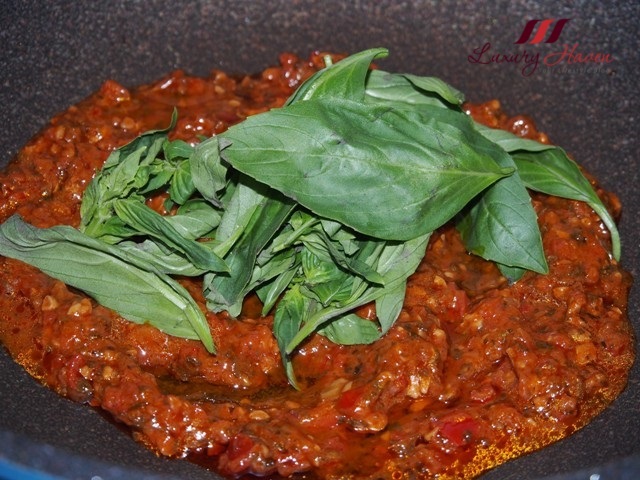 Heat Leggo's pasta sauce and stir in basil leaves. Add water if needed. Throw in spaghetti and mix well. 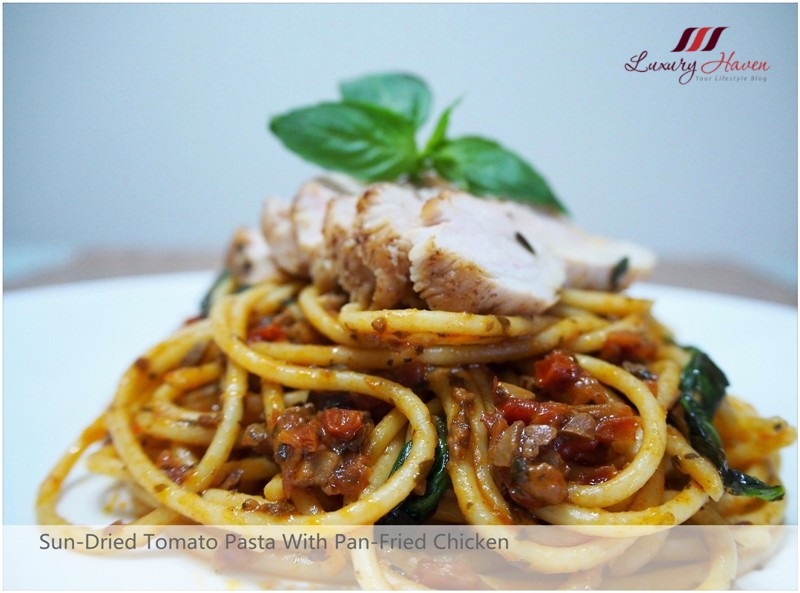 Dish out your pasta and top with the succulent chicken fillet, and serve your delicious Leggo's Pesto Sun-Dried Tomato Pasta With Pan-Fried Chicken! Remember I talked about Freezing Your Fresh Herbs in Olive Oil For Preservation previously? 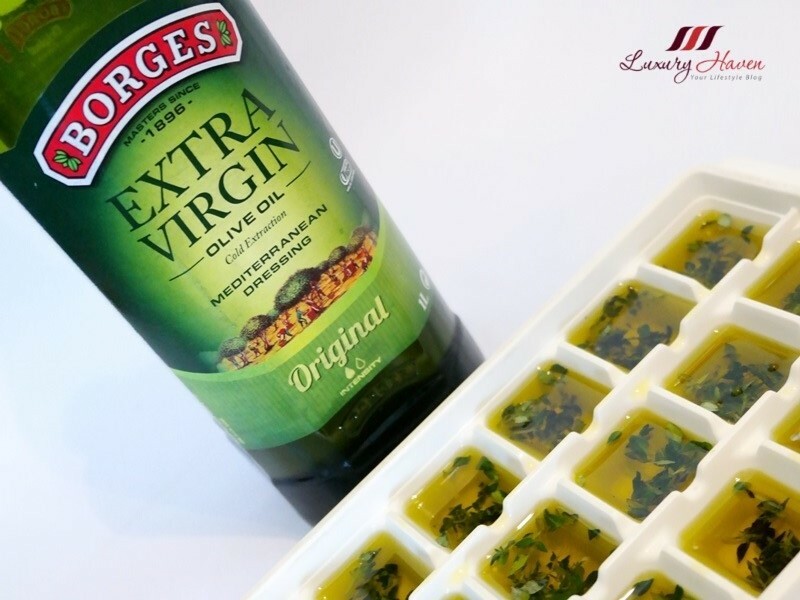 Well, these Scented Thyme Leaves in Olive Oil Ice Cubes are just perfect for this dish! Like what you see? Subscribe to Luxury Haven by Email and you will never miss a post again! (You will receive an email after that which you will need to activate). It looks good! I've been eating more aglio olio and pesto based pasta instead of the tomato paste based ones and this looks good. Remember when sun dried tomatoes were the huge fan (like chia seeds, everyone was going on about it) about 10 years or so ago? Wow! I have some similar pesto sauce like this too but was hesistant to use it as I'm really not sure how to use that. Now I know....thanks for sharing. looks so delicious, amazing recipe! Omg! This is good. I love your presentation. Thanks for recipe sharing. Long time sid not cook pasta, maybe can do it this weekend. Yum yum! Pasta is my favourite meal. You did a great job with this recipe. It does look delicious! That looks so good!! I wasn't much of a pasta fan before but that's changing. Your pictures are so tempting and the basil garnish...love it! I love, love, love to eat this dish. Just so tasty! 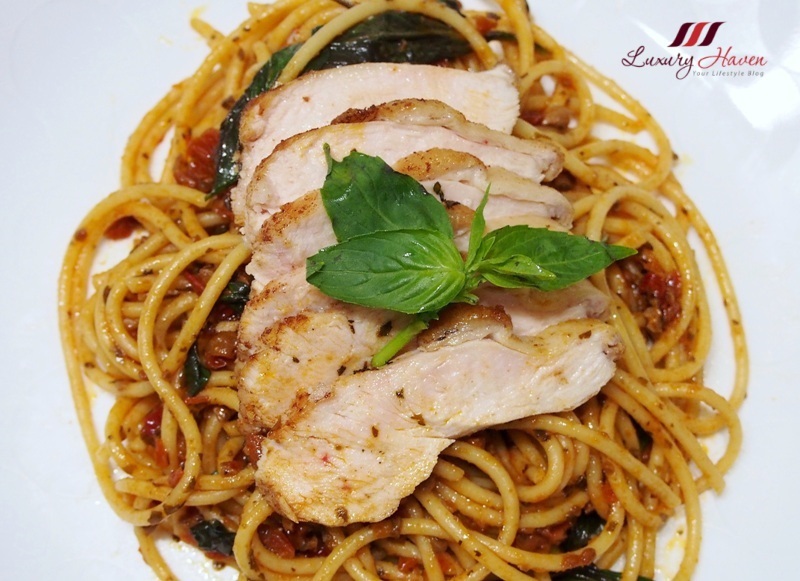 Chicken breast meat is my favourite meat part of a chicken and I like the taste of basil and sundried tomatoes. I love chicken! And it looks so delicious! Yum! I wish I could have some of this right now. The mix of flavors sounds really delicious! This looks like a very satisfying meal Shirley. This looks delicious! I love sun dried tomato pesto and use it in pasta dishes. Omigosh, this is so mouthwatering, Shirley! Sun-dried tomatoes are one of my favourite ingredients. This is a gorgeous pasta dish! Oh yum to this wholesome meal though pasta doesn't go down well with me. Mmmm this sounds - and looks! - utterly delicious. 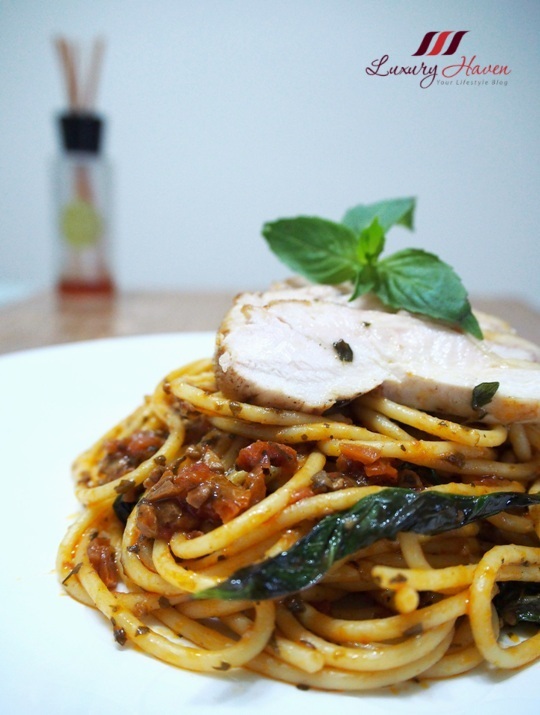 There's nothing quite as appealing as pesto pasta, I'll definitely give this recipe a go soon! That looks really delicious! Such a nice presentation, too! I always joke that I should have been born Italian based on how many Italian dishes I make! Love the simplicity and amazing taste. I love Italian cuisine...this dish is brilliant. I often prepare pasta, but I never tried adding fried chicken, it is a great idea. have a lovely weekend darling!!!!!! I usually like a carbonara, but this looks very yummy as well! Aquela marca é maravilhosa! Estou adorando usar. Hummm! A cara é boa. Parece ser extremamente delicioso! You pasta looked so deliiiiicious! I have been hearing about this sun dried tomatoes lately and wonder how it tastes. I love anything tomatoes including the juice. And, she cooks Italian too!!! Will wonders never cease, Shirley??? Please pass the pasta, it looks incredible!!! It makes me hungry Shirley! I love the Pesto! Delicious! I love sun dried tomatos for some reason and I can imagine how tasty and yummy this would be! I've bought several tomato products from leggos and find them very good and versatile!